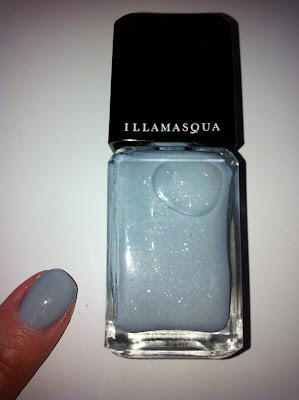 Do you remember the ILLAMASQUA Nail Polish competition? 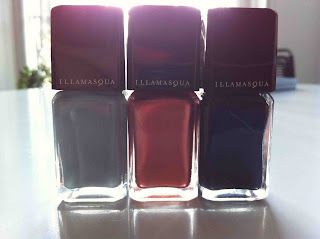 That's right guys it seems like an eternity ago but here are the winning nail polishes. Congratulations to all those who entered, we saw some astoundingly good ideas. These will be on sale shortly in Selfridges, £13. 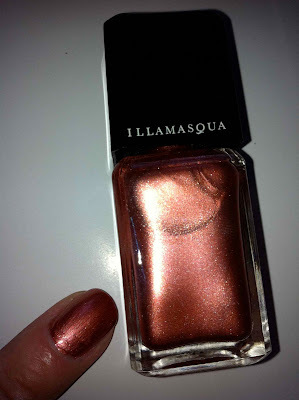 Shrapnel - Iridescent copper. The colour of new 2p coins. 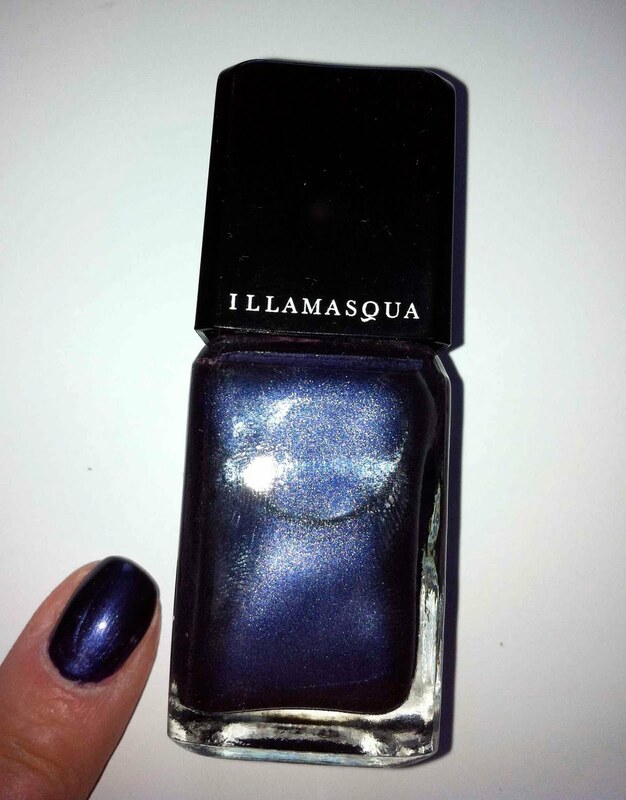 Eclipse - Iridescent deep blue. Winner of our Tokidoki brush set. The winner of the Tokidoki brush set is the person who sent in this image created by one of my favourite make-up artists, Val Garland. 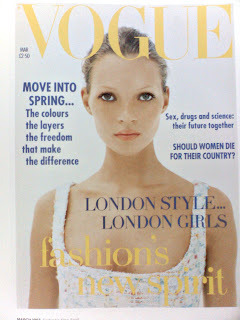 Corinne Day was arguably one of the most influential photographers of the 90s. Working with a young Kate Moss on a fashion story for The Face magazine titled 'The 3rd Summer of Love,' which was published in July 1990 and later (1993) on the British Vogue cover story (opposite) the images would define the 'Waif' look and spark the 'Heroin chic' movement. The imperfect and voyeuristic feel of the images that Corinne Day produced were in stark contrast to the perfectly made up supermodels and photography of the time, paving the way for the documentary style photography that became synonymous with the late nineties and beyond. Kristen's stunning look on the David Letterman show was created by top make-up artist Beau Nelson. 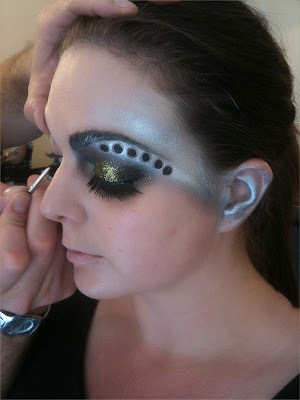 Beau used black liner as a cream shadow then applied a taupe in the crease on the eye. 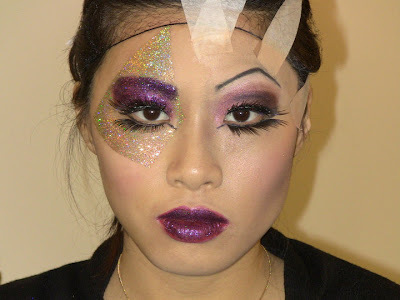 He then blended MAC Club eyeshadow over the black liner. 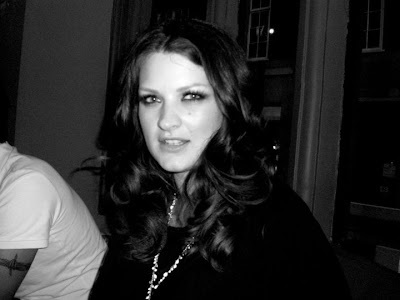 Her cheeks were contoured with Kevyn Aucoin contour powder. 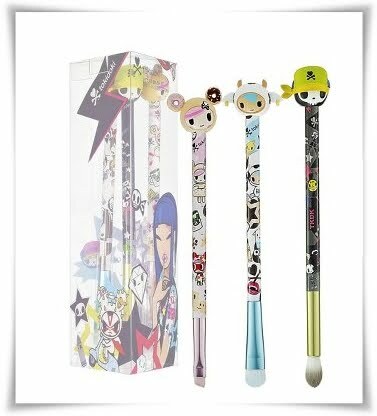 Win a Tokidoki brush set. Creator and Italian artist Simone Legno brings his cult-favorite designs and colorful interpretation of life in a new makeup and accessories line that exposes the criminally cute and irresistibly edgy sides of beauty. 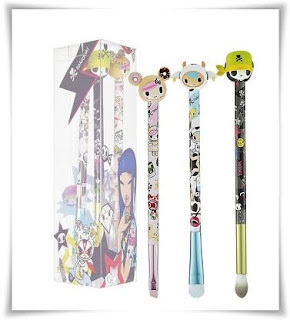 Presented exclusively at Sephora, this Japanese-inspired collection captures the true spirit of tokidoki. How cute are these! All brushes are synthetic. There is a flat applicator brush similar in shape to a MAC 239 but fuller. An angled brush and a socket/blending brush similar to a 224. Entries must be in on or before 22nd August. This competition is open internationally. A massive thank you to all those who attended our recent make-up courses. I feel like I have made so many new friends. 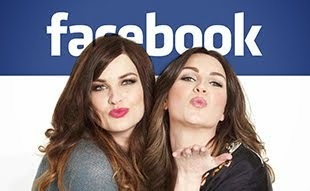 I am busy uploading all the pictures that Nic and I took to my Facebook, as promised.